Research shows that a first impression—the initial feeling or opinion about something or someone—usually takes place within seconds of an encounter. First and ongoing impressions can possibly make or break whether someone revisits a particular place, including a veterinary hospital. Client expectations have changed over the past couple of decades, according to Mitch Clemmer, DVM, owner of the recently constructed Flowood Pet Hospital in Flowood, Miss. Having owned several practices prior to this one, Dr. Clemmer has seen his fair share of clinic updates. Pet owners were once satisfied if a clinic didn’t smell, he said. Now they choose pet hospitals based on looks. Sometimes all it takes to enhance that stellar first impression is a quick cosmetic fix, such as changing the interior paint color, fixing drywall or reorganizing the front office and/or waiting area. Some clinics may need a little more work, like installing new floors, updating office equipment, painting the exterior of the building, or freshening the outside curb appeal. A more extensive revamp, such as reconfiguring spaces and adding on, may be the best route for others. 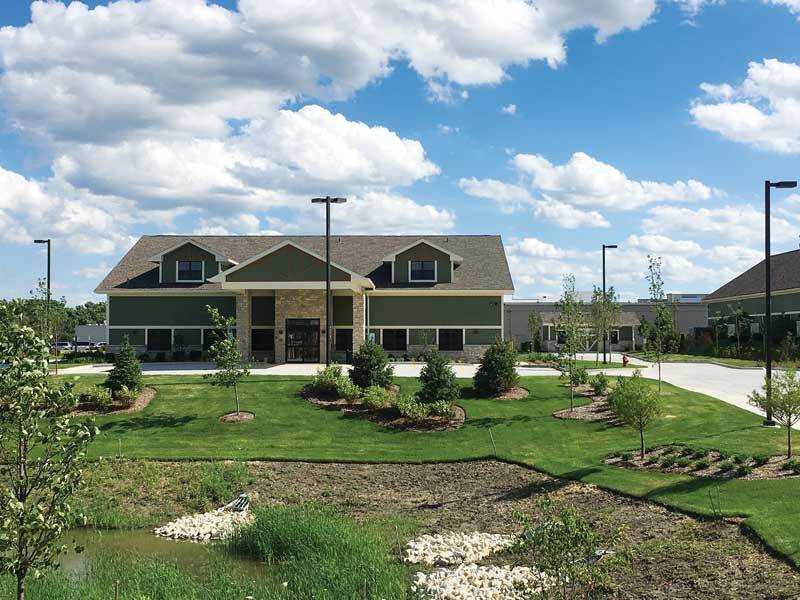 One of the first things Erich Roush, DVM, focused on when he bought Lavitt Animal Hospital of Morton Grove, Ill., in September 2016 was transforming how people viewed the hospital. The overgrown landscape concealed the building, and the front door, oxidized Plexiglas, was cloudy and unwelcoming. The outside signage also hadn’t been updated in a long time. “Prior to starting the renovation, a referred client from a nearby hospital expressed to me that she felt her veterinarian had ‘made a mistake’ by sending her to a building that made her want to turn around and go the other way,” Dr. Roush said. 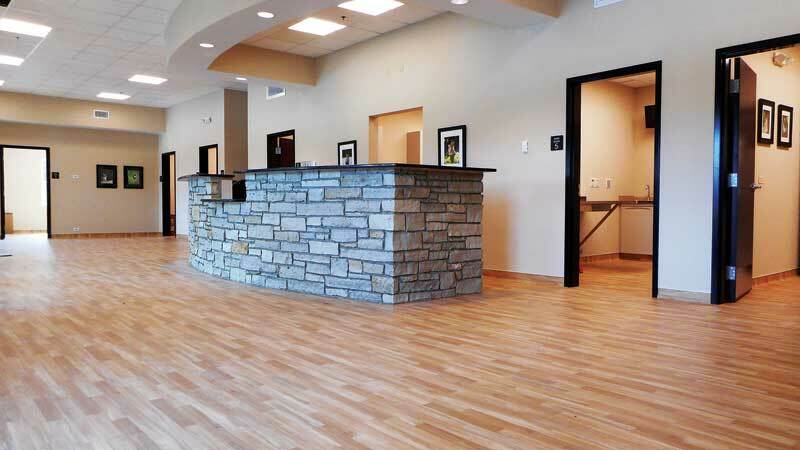 It’s important that clients have confidence when arriving at a veterinary hospital and have no underlying questions about the facility based on its appearance. Small fixes and updates are probably the easiest to tackle, especially if there’s dedicated staff to do the work. Quick fixes, however, should not be taken lightly, according to Bulson. Sometimes it’s best to break renovations into stages. Roush started updating his hospital a month after he purchased it, but with winter coming on, he didn’t have the ability to spend time on the exterior. Instead, he renovated the reception area, the client bathroom, exam rooms, and the surgery suite. As the season changed, Roush was able to focus on the outside, including replacing the signage and cutting back the overgrown landscape. “There is a lot more we plan to do with the façade, but working with a small budget, we have to be patient and do things in stages,” Roush said. As one can imagine, working around any type of construction or remodeling process is awkward and inconvenient. Clemmer recalled having to side-step the remodeling crew when he worked at Banfield Pet Hospital. For Roush, starting small during the typical slow time of the year was his silver lining. They updated on days when they didn’t have as many scheduled appointments. Some veterinarians may want to hire a contractor for their remodel. References and referrals are always a great way to find one, according to Clemmer. In fact, that’s how he found his contractor. A veterinarian friend raved about the contractor company she had worked with. Golf Rose Animal Hospital has a maintenance staff for regular property maintenance, which helps them keep on top of quick fixes. “Bankers generally know who have brought projects in on time and on budget,” Bulson said, adding that contractors should be familiar with veterinary structures. With any project, a team approach is imperative in getting tasks completed, according to Bulson. This includes meeting with the banker, the architect, and the builder together to ensure everyone is on the same page. Delegating also is key. “I would recommend any veterinarian completing a project to have a project manager or owner representative handle the day-to-day tasks when designing and rebuilding so the veterinarian can focus on medicine,” he said. Updates—big or small—require financial planning. Veterinarians can budget and save for renovations and/or turn to financing options. When it comes to choosing a financial partner, it’s important to find a lender that is familiar with veterinary lending and veterinary construction, according to Bulson. Golf Rose Animal Hospital built the new pet lodging area behind the old kennel. 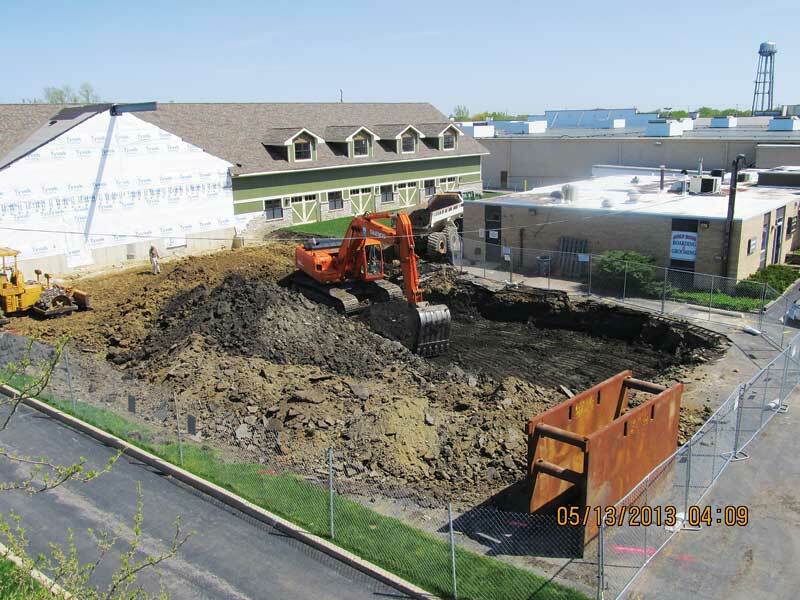 They moved the dogs into the new building and then tore down the old kennel to make way for the office building that would eventually replace the office building to the right. When it came to pulling permits, Clemmer said it was an easy process—his contractor handled everything. Still, all the permits and paperwork involved often surprise veterinarians unfamiliar with construction, Bulson said. It helps to meet with local building officials to discuss remodeling plans. He also suggested working with a local attorney or project manager familiar with real estate and development. In the end, Roush adheres to the old carpenter adage, “measure twice and cut once,” as to not shortcut the planning process. Creating that first great impression can range from quick fixes to more extensive revamps, which means costs will vary as well. 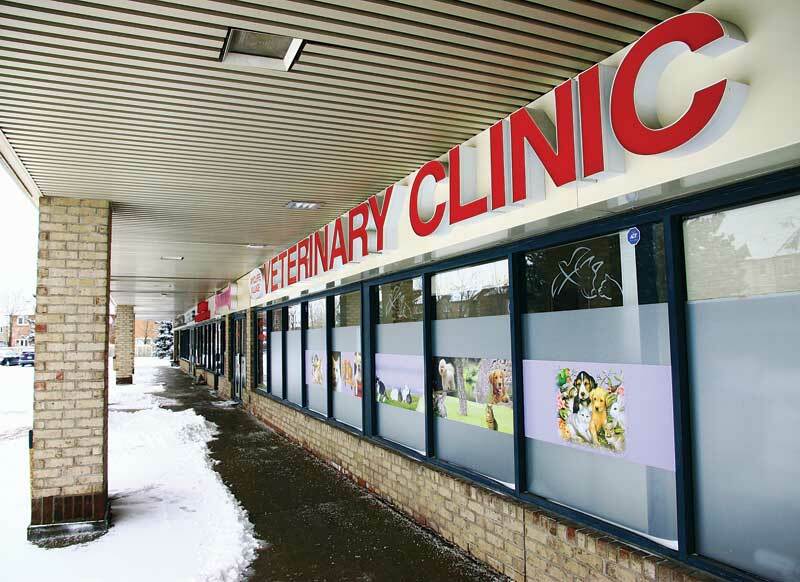 Depending on the clinic’s budget, veterinarians may need financial assistance. Understanding the money aspect in these situations is imperative, according to Will Frazier, senior loan officer at Live Oak Bank. Veterinarians also need to realize that the project may impact both accounts receivable and accounts payable, said Nicholas Spanakis, specialty group manager at PNC Healthcare Business Banking. Sometimes taking out a loan may not be in the veterinary clinic’s best interest. “In cases when a business is not ready for a loan, the best thing Wells Fargo can do is provide guidance to the owner on how to improve the financial condition of the business to get a ‘yes’ on a credit application at a later date,” Owens said. Although appearances matter, the practice’s core (e.g., client communications, technology, etc.) has to be as polished as or better than the waiting/exam rooms. Engage a team of healthcare/veterinarian clinic specialists to define in granular terms the full scope of the project and its related costs. Start with the client/patient experience in mind. Set a firm budget for the scope of work, basing it on what the clinic can really afford. Ask an objective party to point out the trade-offs and choices (inclusive of quality, comfort and durability of the materials used) that make sense to do now versus those items to be phased in over time. If the project needs financing, don’t compare financing options on price alone. Due diligence is key, Frazier said.